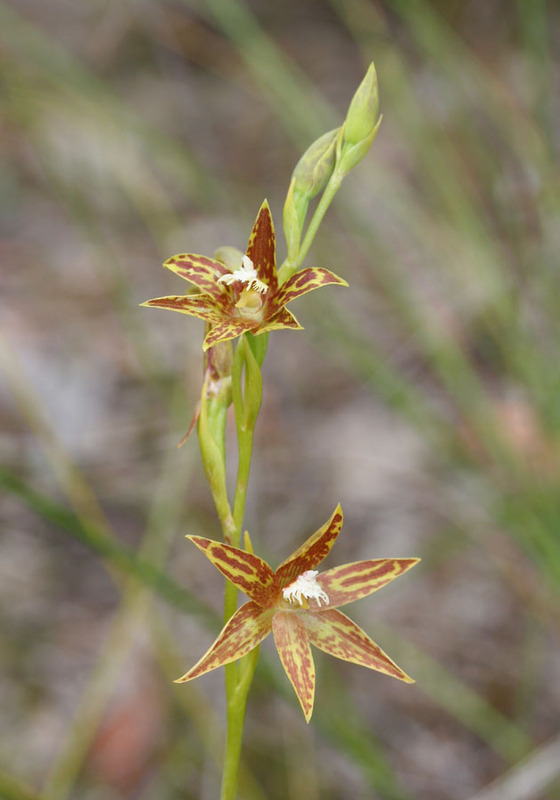 These two species are quite similar but should be quite easily distinguished. 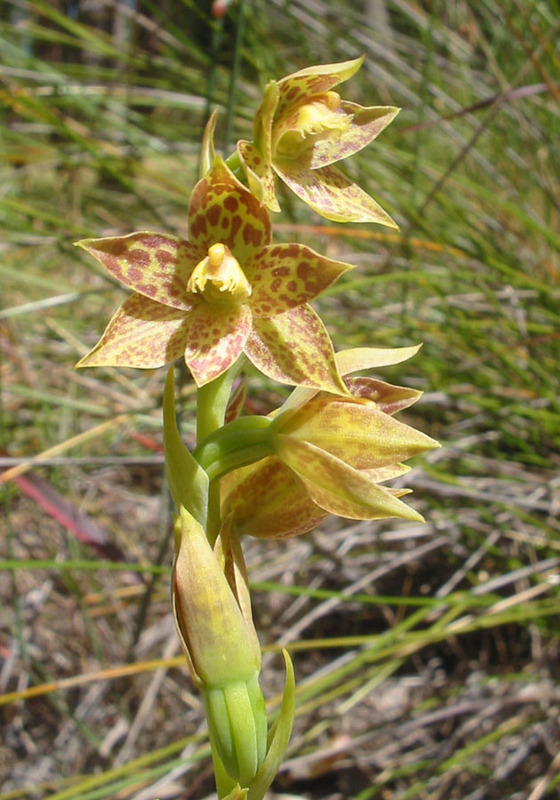 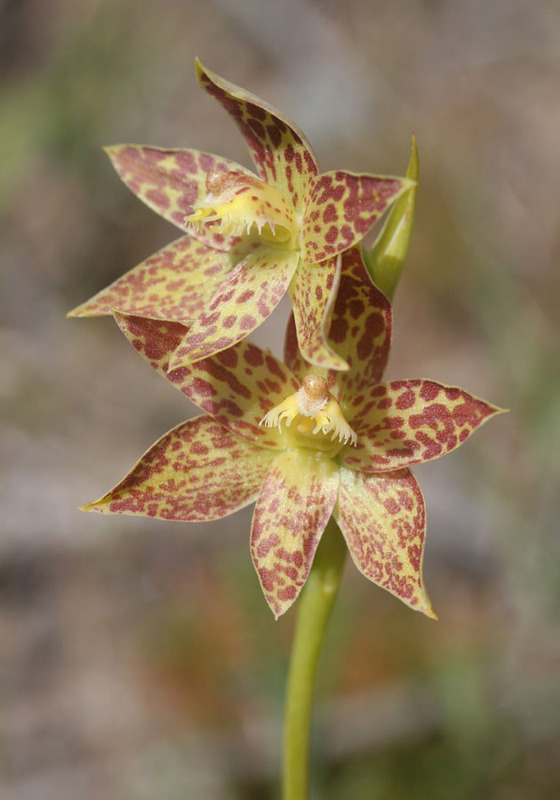 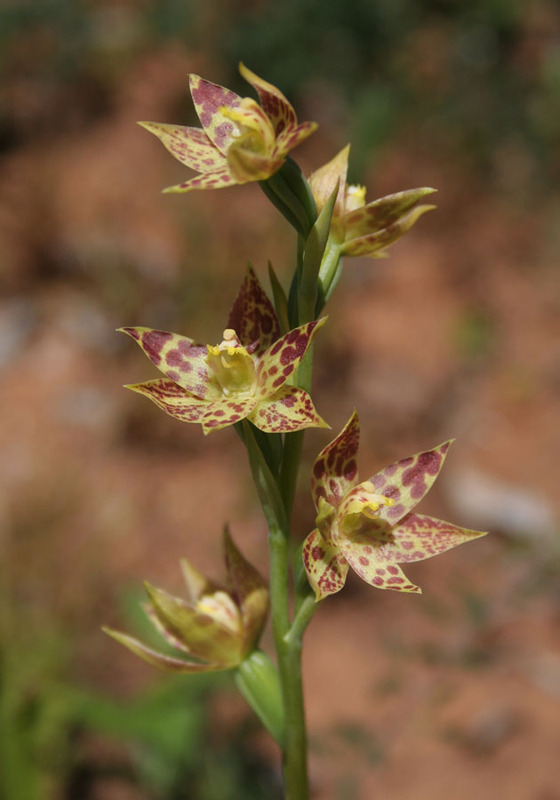 The Leopard Orchid has a rounded tip to the column and flowers from October to November. 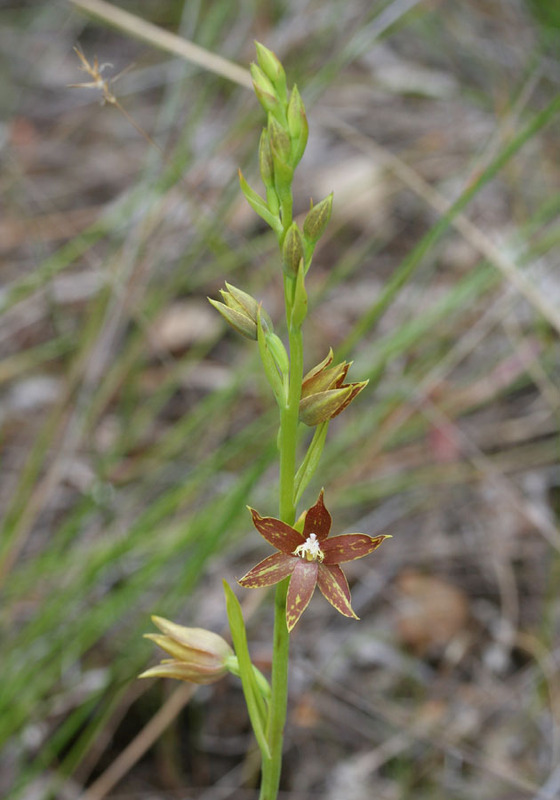 The Chestnut Sun Orchid has a more pointed and ragged tip to the column and flowers much later, from December to January. 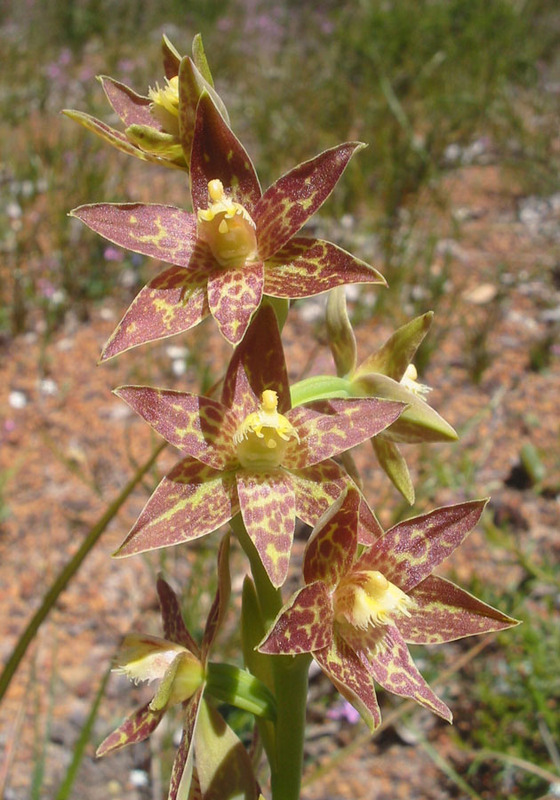 Its flowers usually have a greater abundance of dark brown markings than those of the Leopard Orchid. 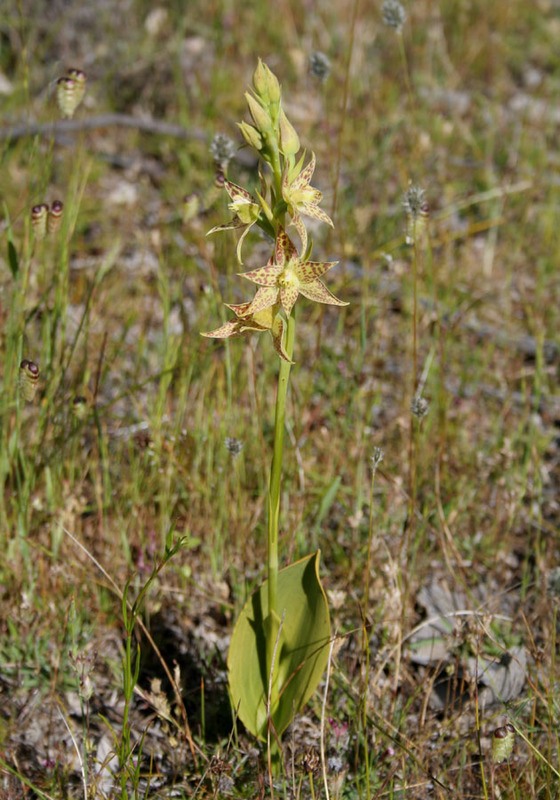 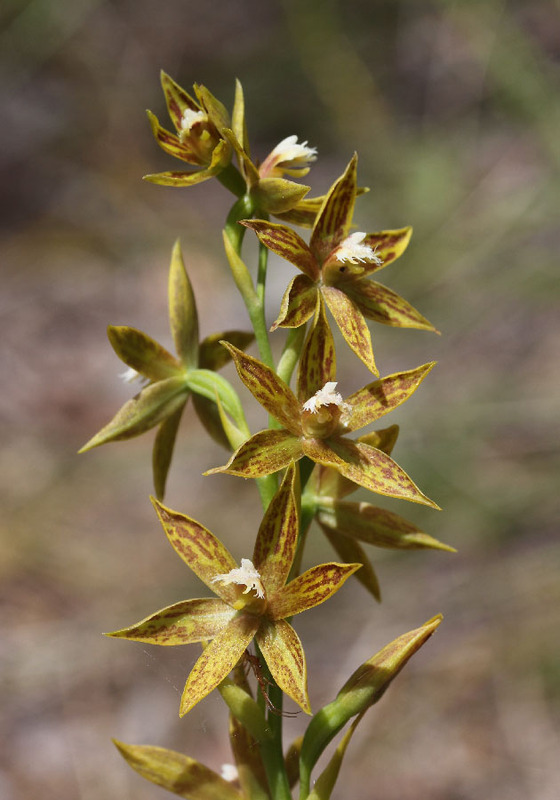 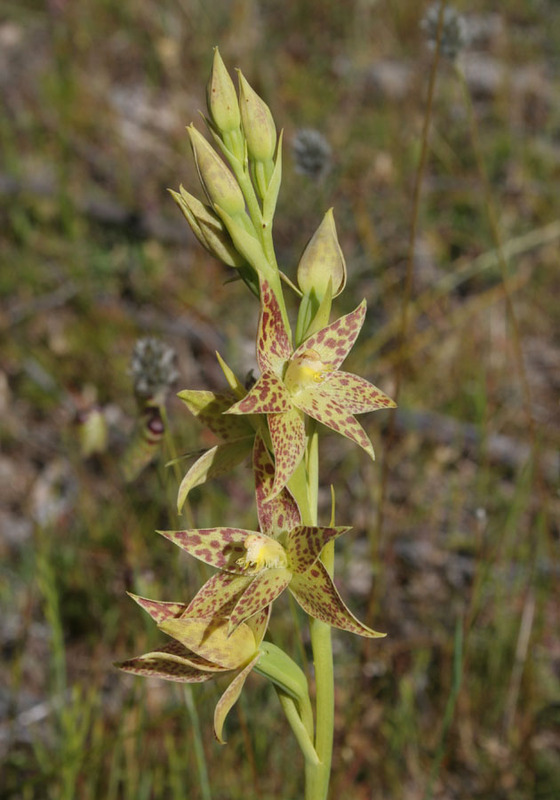 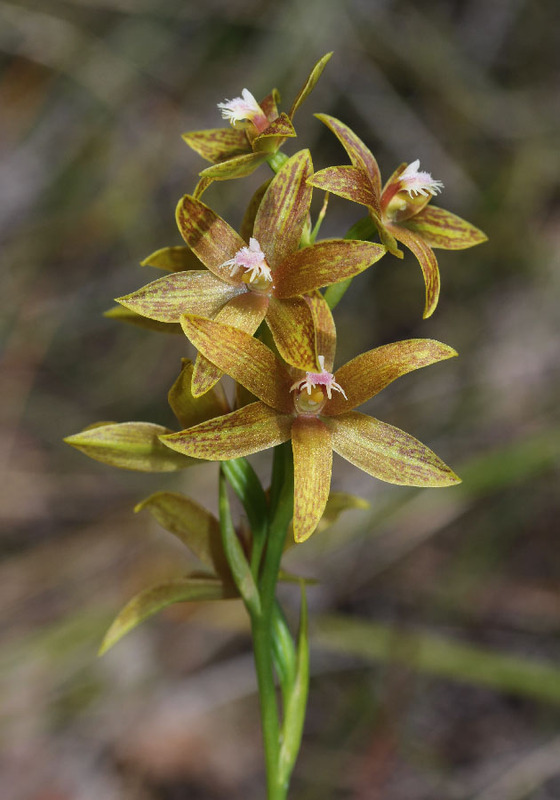 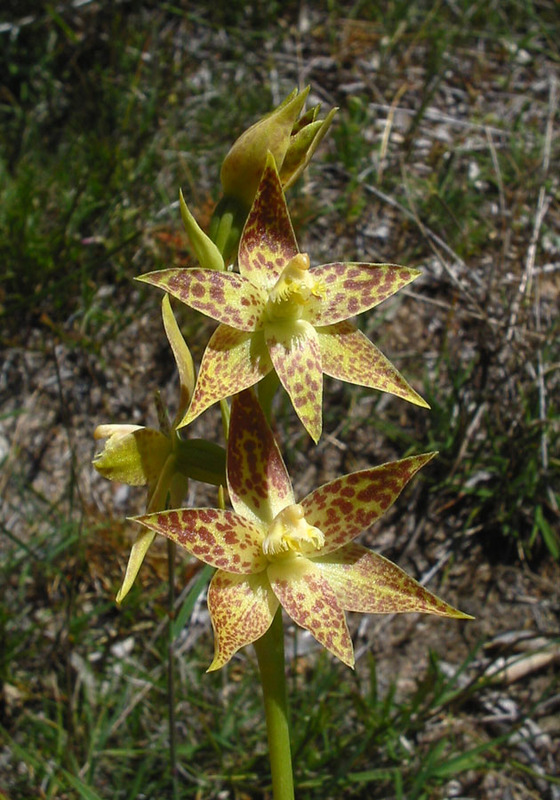 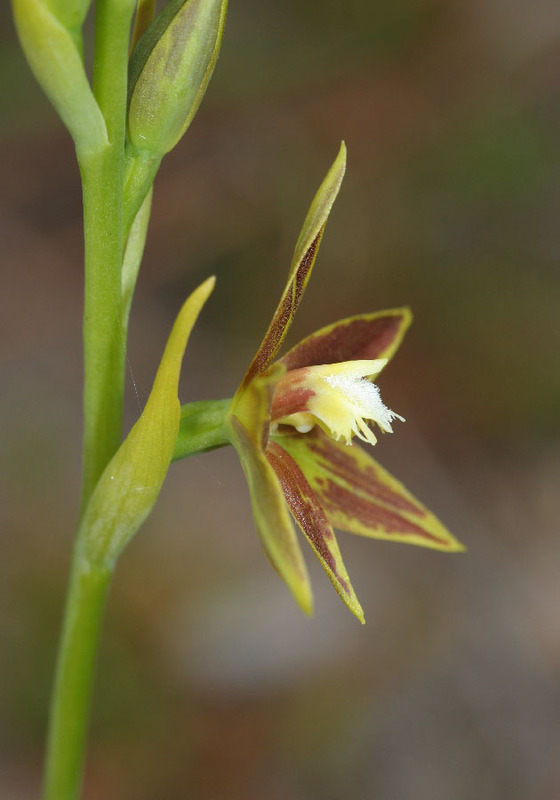 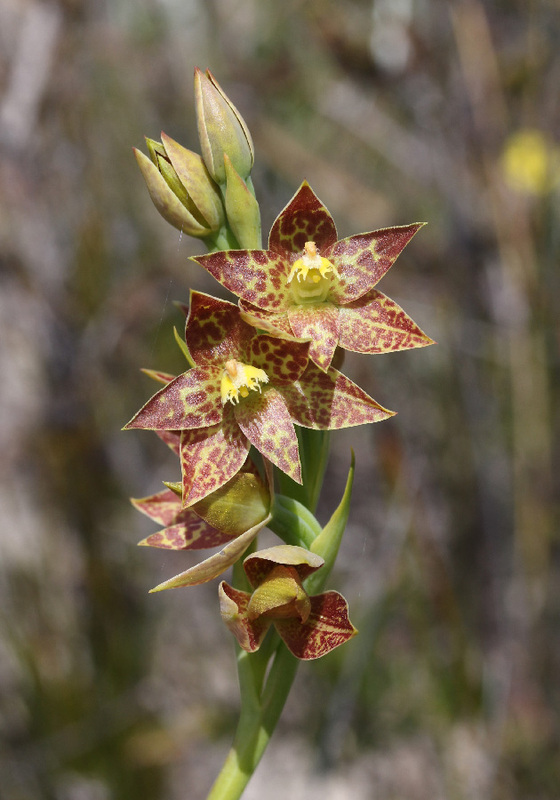 This beautiful orchid is relatively common across the south west, being found in winter wet areas and around granite outcrops (extra runoff). 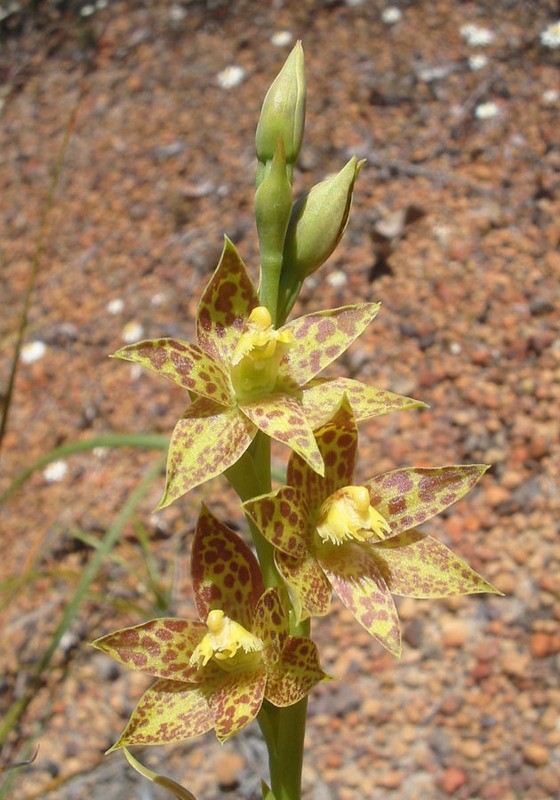 It is quite variable, each plant having its own unique pattern of blotching. 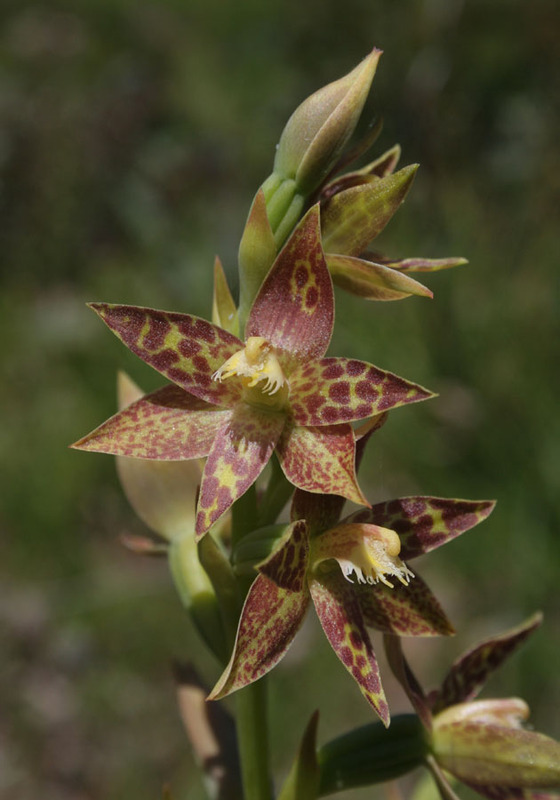 Some flowers may be almost completely brown, while others completely lack brown blotches. 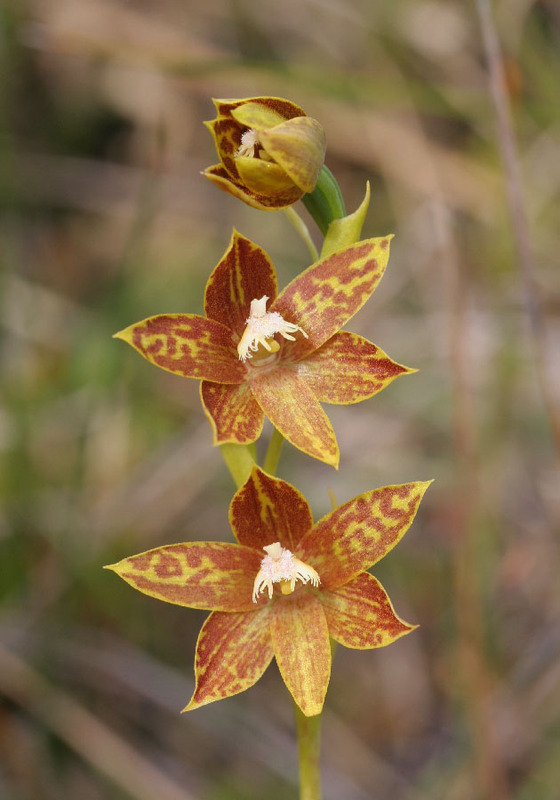 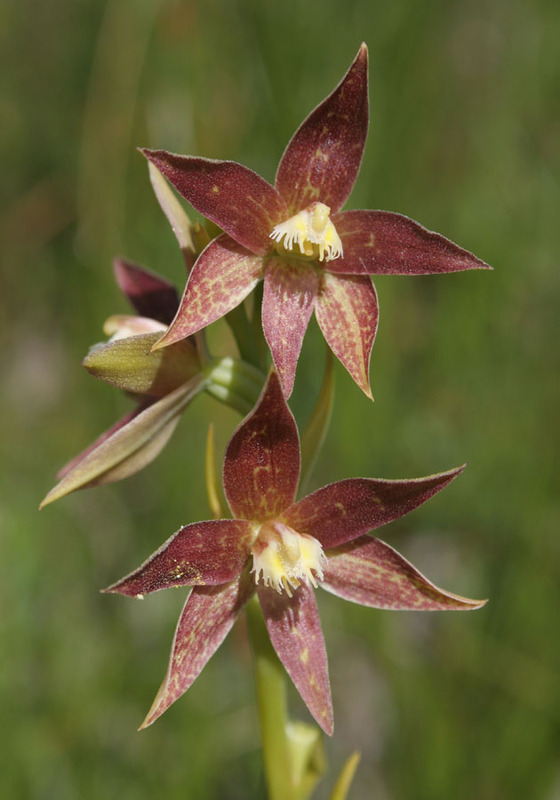 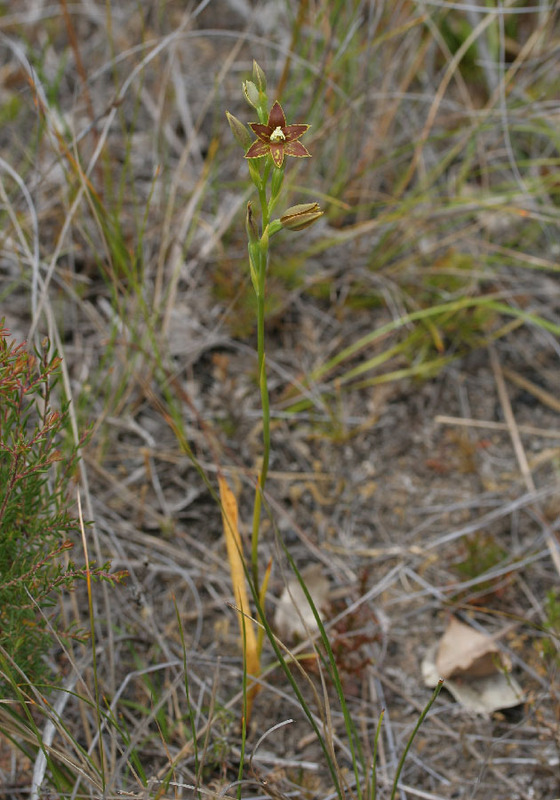 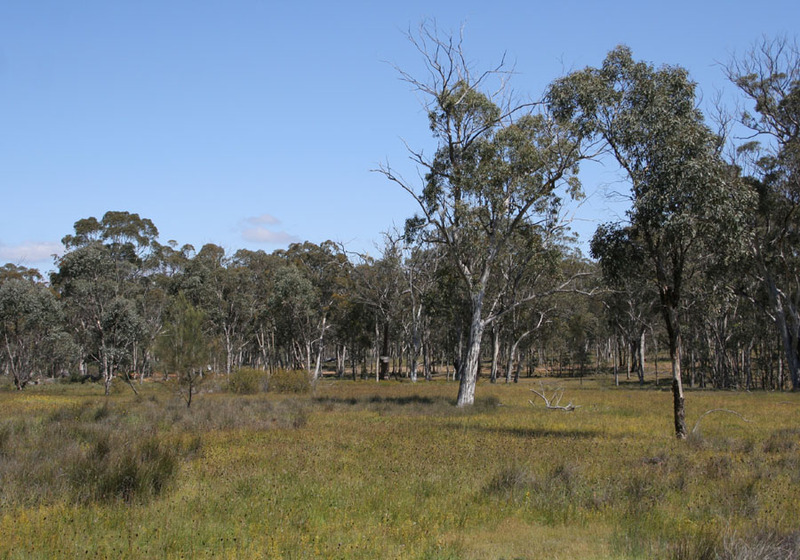 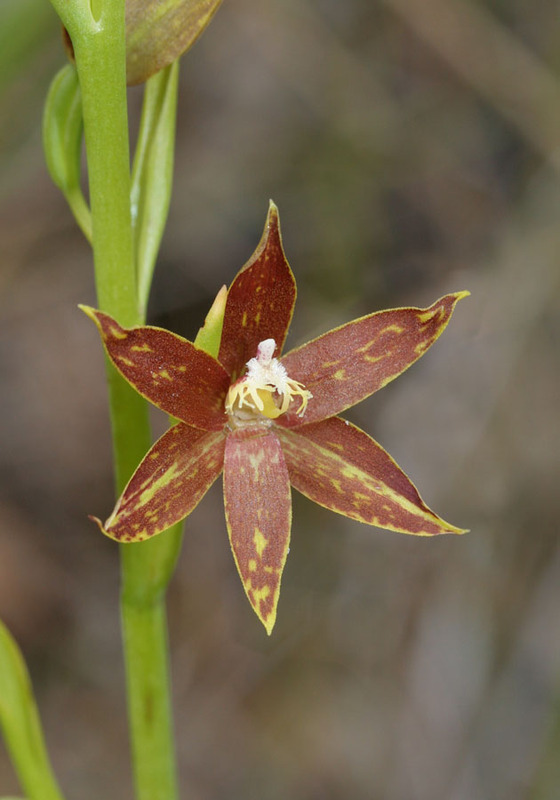 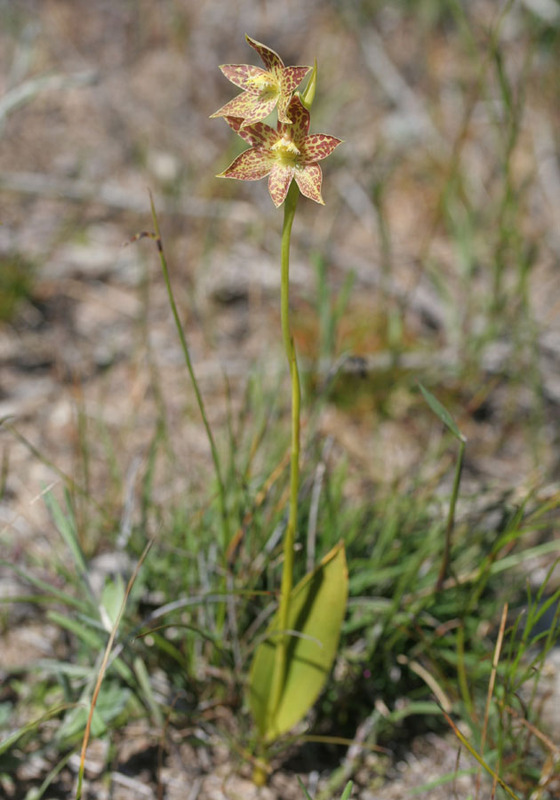 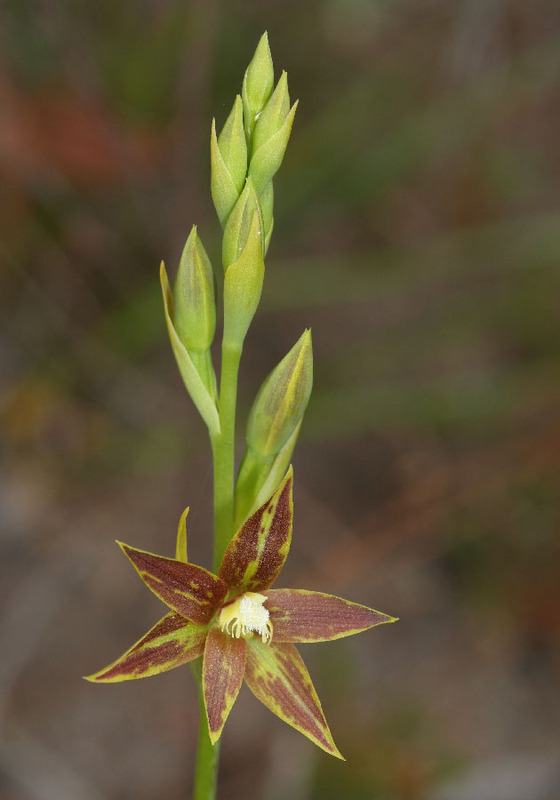 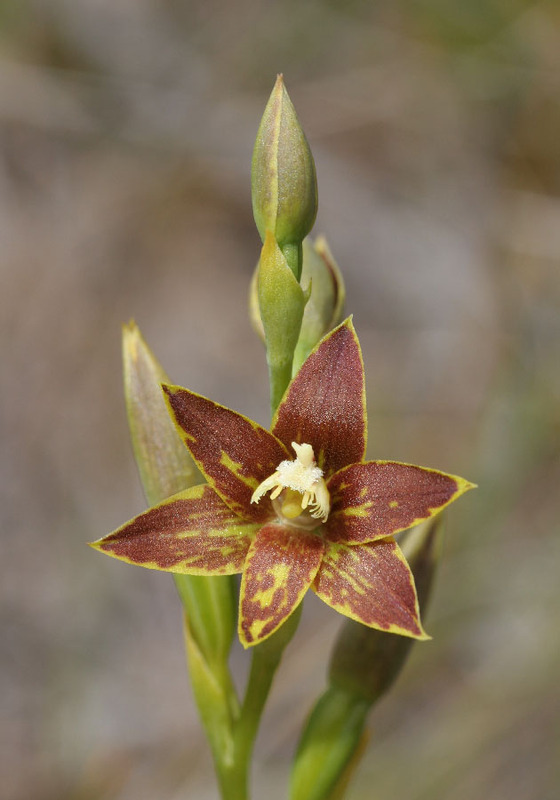 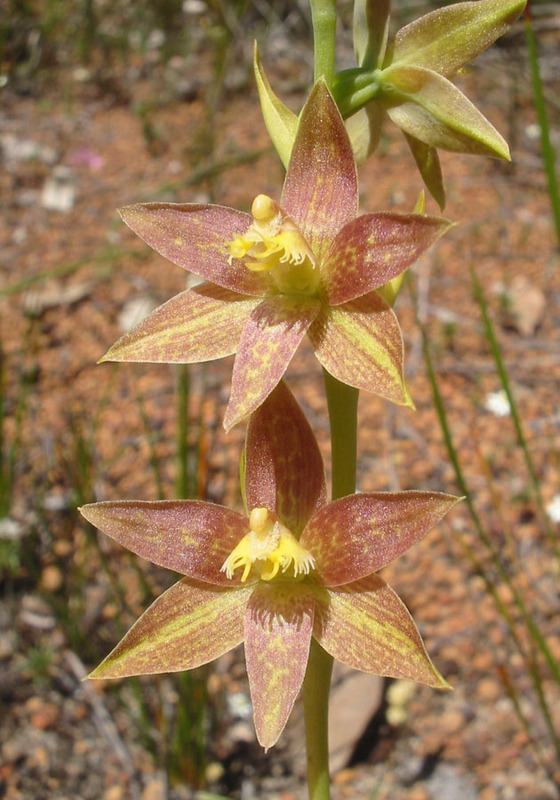 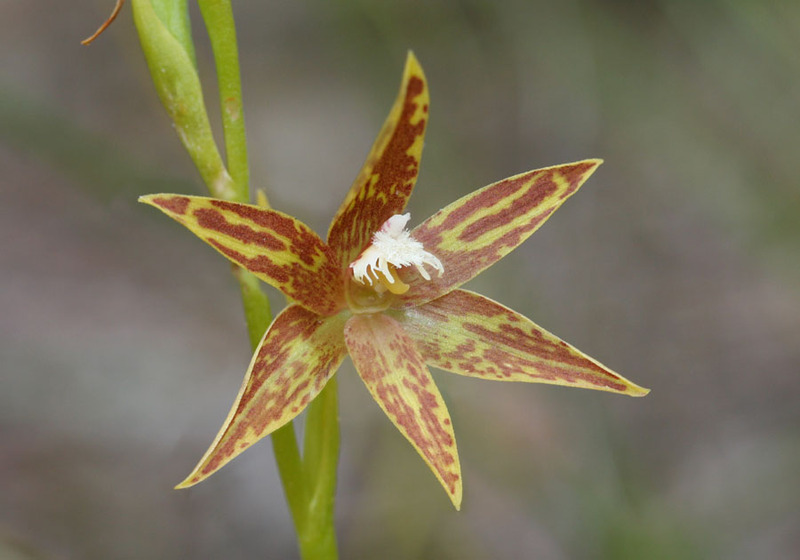 The Chestnut Sun Orchid is distinguished by its pointed, ragged column and its much later flowering season. 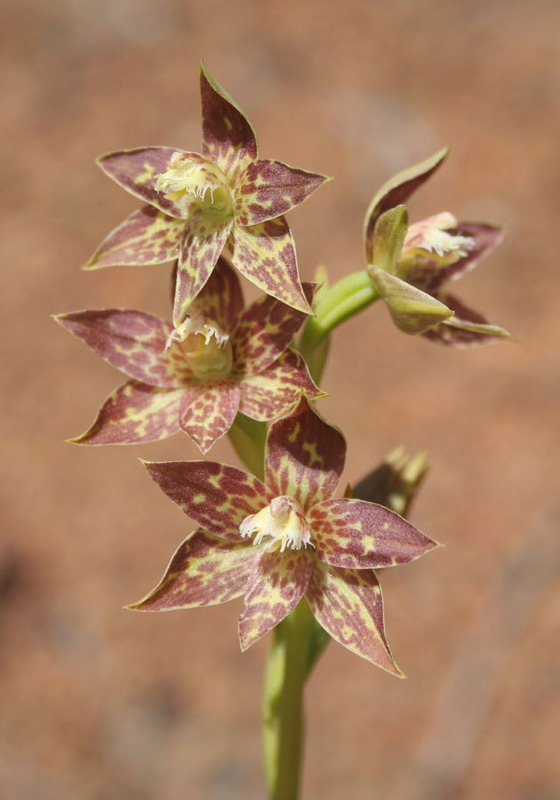 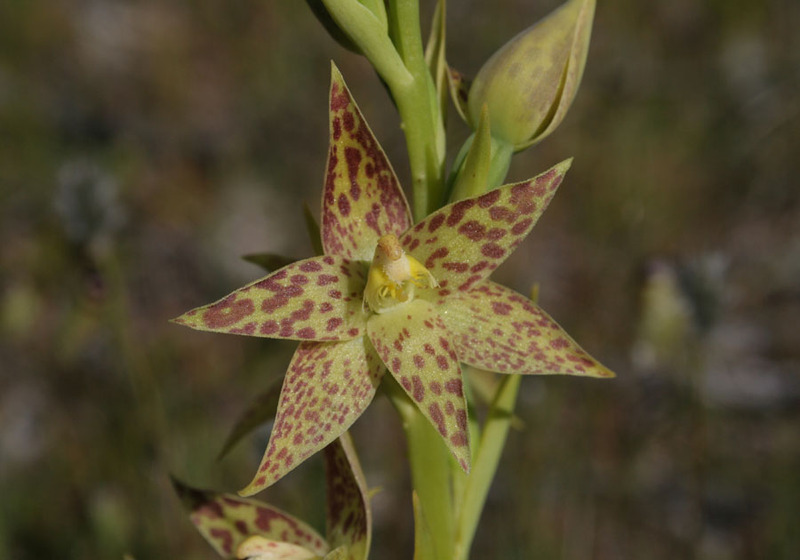 The flowers are usually darker with more brown patches than the Leopard Orchid. 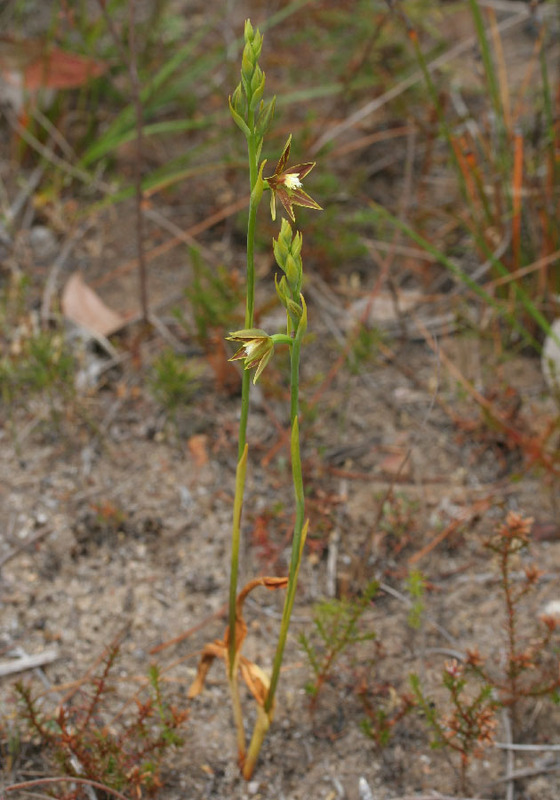 As with many other late flowering orchids, the leaves are usually withered and dried out by the time flowering commences.